Rotation Mistakes – ImEx Gulf Inc. Although many poultry producers are rotating anticoccidials effectively, some aren’t rotating enough or as wisely as they could. 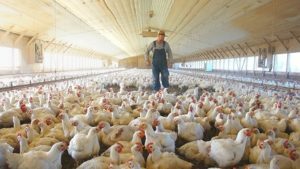 The reason could be that short-term performance and proﬁt goals take precedence over the development of a longer-term, sustainable coccidiosis management strategy. In other cases, it’s simply a matter of old habits prevailing. Either way, the result is the development of resistance and a decline in anticoccidial efﬁcacy. For instance, one common mistake often seen in the ﬁeld is switching from a monovalent ionophore, such as monensin, to another monovalent ionophore, such as salinomycin. Both are in the same class of ionophores; they work similarly, and if resistance develops to one, it’s likely to develop to the other. If a monovalent ionophore has been used, it’s better to switch to an ionophore in another class to the divalent ionophore lasalocid or to a synthetic anticoccidial like clopidol, decoquinate or nicarbazin. As a general rule, the same class of ionophore should not be used for more than six consecutive months. Synthetic anticoccidials are highly effective against wild-type coccidial strains, but coccidia can develop resistance to them more quickly than to ionophores. For that reason, synthetics should be used very judiciously. If a synthetic is administered as part of a shuttle program where the same ﬂock receives one anticoccidial in the starter feed and another in the grower feed — it should not be used for longer than about 4.5 months. If a synthetic is used as part of a cleanup program aimed at ﬁeld strains of coccidia, it’s wise to avoid using it for more than three months. In either case, the same synthetic should not be used again for at least 20 months to preserve its efﬁcacy for future ﬂocks. Speciﬁc rotation programs are going to vary widely depending on the needs and goals of each poultry farm, but a two-year program might involve the use of an ionophore/chemical combination, then a vaccine, then an ionophore from a different class and then a single chemical.